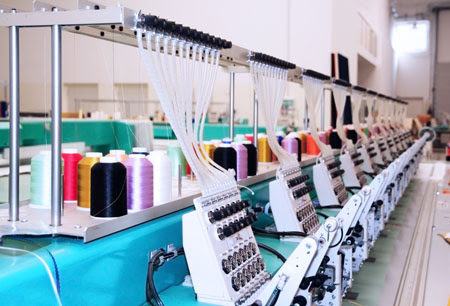 In 2013, installation of a security and CMX was completed at a Vietnamese factory of Yotsuba Dress Co., a manufacturer of textile and dresses in Vietnam and around the world. Yotsuba Dress Co. (Công ty Yotsuba Dretss Việt Nam) is a Vietnam-based premier world ODM manufacturer of clothing products and accessories. 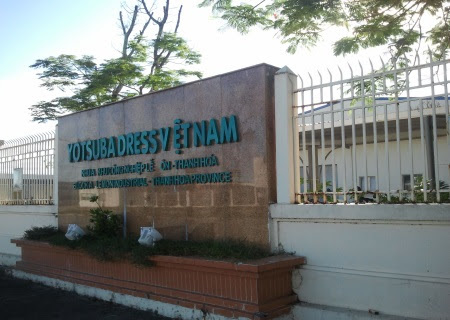 Silver Sea, an approved distributor partner of LILIN, announces that the management team of Yotsuba Dress Co. has selected LILIN’s security surveillance system to secure its factory and warehousing facilities in Thanh Hoa Province, Vietnam. The primary task was for the Silver Sea security distributor to develop a solution to protect the Yotsuba warehouse complex, and also to install the video surveillance system at an office building as well as adjacent spaces. With taking into account the needs of the consignment inventory storage; therefore, it was critical that the system and its hardware not only be vandal-proof, but also reactions to alarms and full video monitoring of the warehouse site. LILIN suggested a solution for this project after an in-depth analysis of the customer’s needs. Different cameras are used in various locations and environments, while the original analogue cameras are connected to the IP based system with video encoders, consequently forming a complete IP video management system. The diverse nature of these requirements meant that the video management system had to be scalable, flexible, and geographically distributed at 3,000 square meters of entire factory site. The selection of outdoor cameras for perimeter protection went to the Pro series network cameras, with its built-in infrared illuminators and sustainability to withstand extreme humidity and heavy precipitations climate type in Vietnam. The office areas at the factory are covered by L series and Z series Auto Focus cameras, which offer exceptional image quality and built-in microphone for audio recording. LILIN was built to powerful multifunctional security systems of all levels and scales of complexity, the CMX software allows setting up the necessary distant remote monitoring. After the security surveillance system was completed, the image quality of the Yotsuba Dress Co. factory has become richer, brighter, and clearer. In combination with powerful and indispensable application software, image retrieval has become faster and easier, and the original analogue surveillance cameras are also integrated into the existing network. Yotsuba management levels no longer have to go to the surveillance center station to investigate the situation in key areas, instead, they now have the possibility for remote viewing from their offices, conference rooms, and/or anywhere in the world. This greatly improved supervision and work efficiency, and provided constant real-time protection for production safety.